Malaysia is one of the fastest growing economies in the region – in fact, the country’s economic growth accelerated to 5.8% in 2017 and this year it is expected to remain strong and continue to grow at a sustained pace. One of its economic progress’ major contributor is its innovative and growing financial sector. Today, Malaysia has 27 commercial banks, 11 investment banks, and 18 Islamic banks. Its banking sector remains well-capitalized, retains profitability, and continuously improving. Supported by its banks, Malaysia aims to be a high-value added, high-income, and cashless economy by 2020. Maybank is a Malaysian universal bank that was established in May 1960. 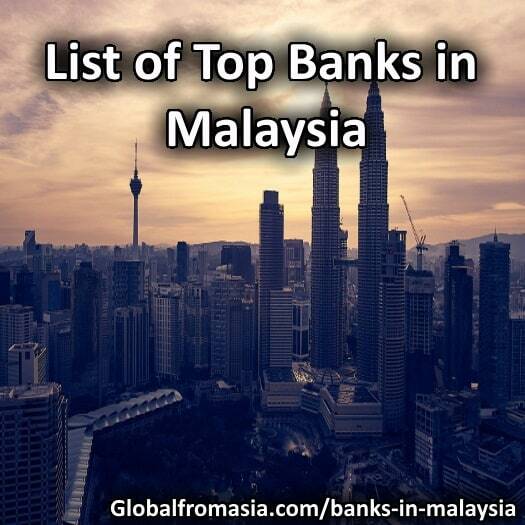 With its 58 years of experience in the banking industry, it has become one of the leading banks in Southeast Asia, in fact, it was listed as one of the top 10 ASEAN bank brands and has been titled as the most valuable bank brand in Malaysia. Maybank offers various financial services such as commercial banking, insurance, investment, asset management, stock broking, mobile banking and trustee services. From Maybank’s annual report, it has reported that the bank reaped a RMB7.52 billion net profit and has achieved a market capitalisation of over RM100 Billion – making it the first company on Bursa Malaysia to break such market cap. Maybank operates in over 2400 branches across 20 countries including all 10 ASEAN countries. CIMB is a leading Malaysian universal bank that was founded in January 2006. CIMB operates in 851 retail branches across 15 countries. In 2017, the bank has reported a RM506 billion total assets, RM4.5 billion net profit and an operating income of RM18 billion. Among its many awards, CIMB was recently awarded as the Best Bank in Indonesia and Malaysia by Asia Money and Best Retail Bank by the Asian Banker. CIMB offers wide range of financial services such as loans and deposits, personal financing, credit cards, wealth management, investments, remittance and foreign exchange. Among its many products and services, its main growth drivers in the past year included wealth management, investments, credit cards, auto loans, and CASA. This 2018, CIMB plans to complete its footprint in ASEAN by opening its first branch in the Philippines before the year ends. PBB is one of the largest premier banking groups in Malaysia founded in 1966 by Dr. Teh Hong Piow. PBB offers wide range of financial products and services such as personal/commercial banking, Islamic banking, investment banking, share broking, trustee services, nominee services, sale and management of unit trust funds, bancassurance, and general insurance products. The bank’s main growth drivers are particularly from retail consumers and small and medium enterprises (“SMEs”). In its 2017 financial report, PBB reported a RM 395B total assets and a pre-tax profit of RM7.12 billion. Today, PBB has 259 branches and more than 2,000 self-service terminals all over Malaysia, 79 branches in Hongkong, 4 branches in China, 30 branches in Cambodia, 13 branches in Vietnam, 4 branches in Laos, and 3 branches in Sri Lanka. This 2018, PBB is set to open more branches, particularly in Vietnam. Moreover, Public Bank will continue to invest in technology to improve its digital banking platform to enhance user interface and deliver innovative functionalities especially in the areas of digital payment channels and cash management solution. RHB is a multinational financial services provider in Malaysia that offers commercial banking and finance related business, Islamic banking, investment banking, stock broking, leasing, offshore banking, offshore trust services, property investment, general insurance, unit trust management, asset management, nominee and custodian services. For the past year, RHB has reaped a total profit after tax of RM2 billion, RM20.1B market capitalization, and a RM230.2B total assets. The bank now has 254 branches and over 1830 self-service terminals in Malaysia and over 330 branches and offices across ASEAN, Hong Kong and China. Among its many awards, RHB received the award “DIGITAL BANKING INITIATIVE OF THE YEAR” from the Asian Banking & Finance Retail Banking Awards 2017. This year, one of RHB’s plans is to set up an app catering mortgage repayment and SME loans that could boost the bank’s loan growth. HLB is a regional financial services company that was established in 1905 in Malaysia. It offers comprehensive financial services such as business and corporate banking, trade finance, treasury, branch and transaction banking, wealth management, investment banking as well as Islamic financial services. In the past year, HLB has reaped a RM4.5B total income (highest level attained in past 5 years) total assets of RM195B, a 22% growth in its Operating Profit (Highest operating profit achieved since merger; and a Rm2.7B profit before tax. Clearly, HLB performed admirably in the past year. The bank has now 285 branches in Malaysia, one branch each in Singapore and Hong Kong, three branches and one transaction office in Vietnam, five branches in Cambodia and a representative office in Nanjing. This year, HLB plans to boost its loans growth by expanding into key sectors such as the healthcare industry, manufacturing, wholesale and retail trade, construction and selective contract financing projects. BOC is the 4th largest bank in the world with total assets of CNY19 trillion as of 2017. In 1939, BOC established its first branch in Malaysia – now it has 8 branches in the country. As Bank of China extends its influence in ASEAN, BOC finds great potential in Malaysia that it plans to be a mainstream bank in the country. Recently in January 2018 it opened another branch in Melaka and the Chinese Ambassador to Malaysia Bai Tian stated that this new branch will attract more investment from China. CitiBank is one of the top banks in the world. In 1994, it has locally incorporates its first branch in Malaysia. Citibank is now a licensed commercial bank in Malaysia with over 11 branches and over 11,000 MEPS (Malaysian Electronic Payment System) ATM in 2000 locations across the country. Citibank offers wide range of financial products and services such as loans, deposits, wealth management, Islamic banking and round-the-clock insurance coverage. HSBC was one of the oldest foreign-owned banks established in Malaysia. In 1884, it opened its first office in the country on the island of Penang. Over the years, HSBC expanded its network in the country and now has more than 60 branches across Malaysia. HSBC Bank Malaysia offers personal financial services, Commercial Banking, Global Banking and Markets, Takaful (Islamic insurance) and Islamic financial solutions. For 6 consecutive years, HSBC was identified as the Best Foreign Bank in Malaysia by Finance Asia and the Best Consumer Digital Bank in Malaysia by Global Finance. UOB is a Singaporean multinational banking organization that was incorporated in 1993 in Malaysia. UOB now has 45 branches in the country and has become the largest foreign bank in asset size in Malaysia. UOB Malaysia offers various financial products and services such as commercial lending, investment banking, treasury services, trade services, custody services, cash management, home loans, credit cards, wealth management and bancassurance products. In 2017, it received the award “Best International Bank” by Asiamoney and the “Best Cash Management Solution in Malaysia” by The Asset Triple A.
SCB is a British multinational banking and financial services company. In as early as 1875, SCB opened its first branch at Beach Street, Penang. The bank offers savings accounts and deposits, credit cards, loans and mortgages, investments and insurances, as well as Islamic Banking. Among its many innovations in Malaysia, SCB is the first bank to offer secured wealth lending in foreign currencies, as well as banking through video , audio and chat for the personal and priority banking segments. As a foreigner, you may be able to open 3 types of accounts in Malaysia: Personal Savings Account, Current Account and the combination of both. Some banks offer credit cards to expats as well like HSBC, Citibank and Maybank. Overall, healthy loan growth and Islamic Banking are the 2 main contributors to Malaysia’s banking sector progress. Most Malaysian Banks performed admirably in the past years and the trend is most likely to continue into 2018 as global trade is becoming more recognized. If you plan to invest in one of Malaysia’s top banks, now is the best time to do so.